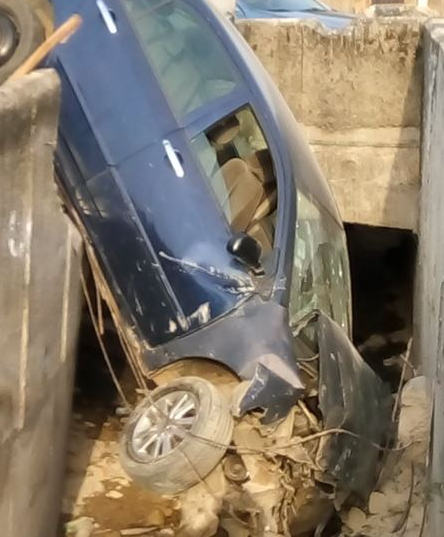 There was a road accident at Oke-Ira, Powerline Junction, Ogba, Lagos involving a Toyota Corrolla vehicle earlier on Thursday. 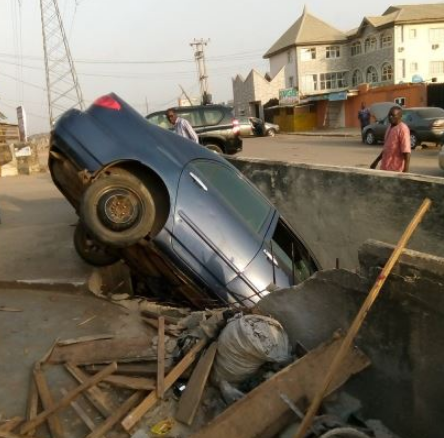 The accident happened at 7:30am. The cause of the mishap remains unknown. From all indications, it seems the car veered off the road and landed in a ditch. The casualty rate remains unknown but the private car was heavily mangled, leading to panic in the area.